Top rated Public Adjuster Montgomery County serving all the surrounding areas. Area Public Adjusters in Montgomery County, PA have staff on-call 24/7 serving the entire county for all wind, water, fire, smoke, storm and hail damage insurance claims. Our highly trained Montgomery County Public Adjusters are experts in understanding what your policy covers and what the duties are when a loss occurs. A experienced and qualified public adjuster will help you understand the policy and protect your rights as a policyholder. Know your rights! In addition, our public adjusters will provide emergency services in Montgomery County, PA to preserve and protect your property from further damage. We sympathize with our clients loss and strive to make the process easy. Area Public Adjusters assures your best interests are represented and will negotiate with the insurance company for the maximum claim settlement. When disaster strikes give yourself piece of mind. If you experience damage, give us a call immediately at 1-800-289-9896. Our licensed public adjuster will guide you through the entire process. We will set-up an appointment to view the damage, contact the insurance company, determine the cause of loss, and document your damaged structure and belongings. Area Public Adjusters will then exhibit the damage to the insurance company adjuster and negotiate the maximum claim settlement. If you have a ongoing insurance claim give us a call so we can evaluate your situation. Area Public Adjusters may be able to expedite the claim process. We will settle the loss quick and efficient. We have great success when taking over a claim. Company staff adjusters will typically overlook items. Our Public Adjusters in Montgomery County will carefully evaluate any estimate you received and find the flaws. All insurance policies have certain deadlines. It is important to contact us immediately. Time may be running out, call for a free consultation. We many be able to re-open a previous filed insurance claim under certain circumstances. The insurance company may have overlooked some things on the initial estimate or underpaid the cost to rebuild the structure. Typically we will only re-open the insurance claim if the date of loss in less than one year. We look to see that the insurance company pays for 2 coats of paint, include the building contractors overhead and profit, sales tax in the building estimate, continuous flooring is paid, base service charges, and clean-up costs among other factors. If the insurance company previously issued a check we can still re-open the insurance claim. Area Public Adjusters will provide a free consultation to review the initial insurance company estimate. If additional money is owed, our fee will only reflect the portion we negotiate in addition for the policyholder. Area Public Adjusters will review your claim denial and the basis for the denial. We will review your claim denial only if the claim is less than one year from the date of loss. Sometimes the insurance claim will be denied based on a wrong fact when the insured reported the claim. The insurance company needs to give a reasonable and detailed reason why the claim is denied. If the insurance company did not provide a sufficient reason for your claim denial we can reopen your property damage claim and proceed accordingly. We calling about a claim denial please have all of the factors about the insurance claim. Every detail is important. We have compiled a list of some things a home or business owner should do to prevent a insurance claim from happening. Area Public Adjusters are always available for policyholders in the time of need but we want give the policyholder some basic preventative measures that could save your home from a devastating disaster and possibly save a life! First and foremost every smoke detector should be checked at least once a month. This is the first line of defense when a fire occurs. Without a working smoke detector you and your family have a delayed response to the fire and it may be too late to escape. It is very important to have several fire extinguishers in easily accessible locations in the building or home and everyone should learn how to use them. The carbon-monoxide detectors need to be tested along with the smoke detector. Thousands of deaths occur each year from non-working devices. Check your devices the 1st of every month! Furnace filters should be changed once every 3 months and the furnace should be serviced once a year by a licensed contractor. Another leading cause of fire occurs from clogged dryer vents. Clean your dryer vents regularly! Start by removing the hose and/or outside cover then cleaning with a special brush or vacuum. Clean the lint filter every time you do laundry. Water leaks are inevitable. Our Public Adjusters handle countless water damage claims that could not have been prevented. 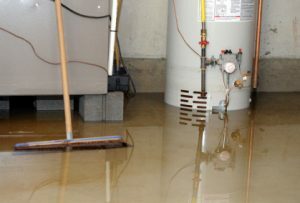 Fortunately some plumbing/water damage claims are avoidable from doing some simple home maintenance. We have a few tips to help you along the way. Check outside hose faucets for damage after a harsh winter. We always advise our clients to turn the outside water shut off valve when winter approaches. When turning the water on in the spring look for any drop in water pressure. If you feel a drop in pressure turn the shut off valve and call Area Public Adjusters. Clean and service air conditioner units annually. Have a qualified contractor service the outside unit and clean the coils to keep the system working at peak performance. Don’t forget to change the interior filters too. Never drop the thermostat of your home lower than 55 degrees as the temperature inside the walls where the piping is located is colder than living spaces. This will stop a frozen pipe claim during the winter months. Open the doors in unoccupied rooms to keep an even temperature throughout the house. Periodically check the roof shingles on the home to see if any shingles are missing or damaged. If you see any damaged shingles contact Area Public Adjusters to address the issue. Shingles that are missing, cracked, buckled, or loose due to wind damage can result in full replacement of the roof. Flashing around plumbing vents, skylights, and chimneys often becomes compromised from wind. Be sure to check these areas. Gutters need to be clear of fallen tree debris and leaves. Clean your gutters often and be sure the downspouts have proper drainage from the the foundation. During the winter months melting snow ice dams can be very damaging to the home as melting snow from the roof freezes along the eaves. Prevent ice dams by sealing air leaks and add insulation to the attic. Make sure attic ventilation systems are installed and working properly. At least once in your life you will need to file a home or business insurance claim. The entire claim process becomes easy when properly prepared. We advise our clients or potential clients to compile a list of all prized possessions for insurance purposes. This list should be updated annually. Document the list with photos, videos, and receipts. Make extra copies and store them in a safe place away from your home in a safe deposit box or with a relative. You can never fully prepare for an insurance claim. The professionals at Area Public Adjusters will provide complete guidance throughout the entire insurance claim process. The tips mentioned above will prevent some claims but sometimes damage to your property is inevitable. Contact us for any wind, water, fire, smoke, or storm damage claims. Learn more about our: Public Adjusters in Philadelphia , Public Adjusters in Bucks County , Public Adjusters in Berks County , Public Adjusters in Delaware County , Public Adjusters in Chester County. Thanks for handling my claim. I respect your hard work and effective negotiating skills. I will recommend you to all of my friends and family.